Top scorer Jon Hamer, pictured, with the only goal of the game. 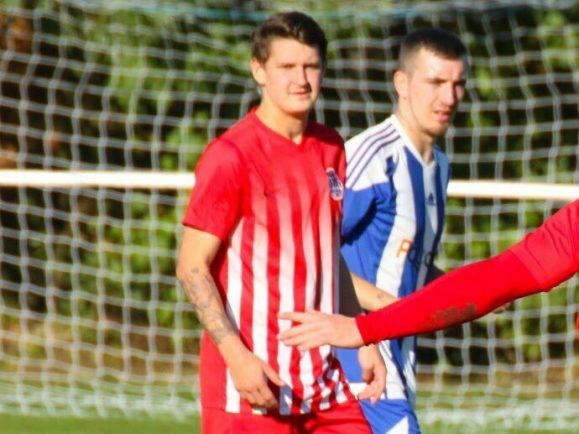 AFC Solihull made a statement victory at the weekend after beating second-placed Bartestree in the MFL Division 3 at the Bartestree Pavillion. A strong start from the hosts posed problems but Solihull were resolute at the back, and their job became easier when Bartestree’s leading scorer Miles Langford hobbled off with a hamstring problem. Solihull were the ones in the ascendancy and had the better chances of the two sides in the opening half, Enoch Duah going closest for AFC when slamming a half-volley off the crossbar from the edge of the penalty area. AFC took the lead in the 50th minute, Duah playing a loose ball into Jon Hamer’s path who drove a fierce strike across the face of goal which found it’s way into the net via a deflection from a defender – Hamer’s 30th for the season in all competitions. The goal prompted a surge of Bartestree attacks on Solihull’s goal in the final 20 minutes, but with no real chances coming the way of the hosts attackers, combined with superb performances from captain Tom Reynolds in the backline and a Stephen Mason match-winning performance that saw the league leaders get over the line. 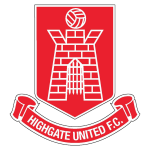 Next up for AFC is an away trip to Holbrooks Park on Saturday (3pm), when they face the 8th placed Coventrians.